It is barely three months since Monsieur Michel Barnier, EU Chief Negotiator for Brexit and Mr David Davis UK Secretary of State for Brexit, came to agreement on the first phases of negotiations for the British withdrawal from the European Union and already cracks are beginning to show. Ireland, or more specifically, the border between Northern Ireland (part of the United Kingdom) and the Republic of Ireland (an EU member state), is the main cause of concern and this seemingly small, insignificant island in the North Atlantic now threats Theresa May’s government and her entire Brexit strategy. Considering the size of the island, and the levels of integrations between North and South, Dublin has been adamant that the border between the two jurisdictions should remain open and any suggestions of closing said border would be detrimental to both the Republic and Northern Ireland. A stance agreed with Brussels. The first phase of negotiations concluded with the ambiguous promise by Downing Street of ‘regulatory alignment’ for the United Kingdom (UK) and the European Union, whereby in the event there was no Brexit deal, the UK would essentially remain inside the customs union. This would keep the border between the two parts of the island open, but, paradoxically, the British have continued to insist they are a leaving the EU and the customs union. And, as Monsieur Barnier has said, time and time again, Britain cannot have its cake and eat it. Britain cannot have an open border with Ireland and be outside the European customs union. History usually has a habit of repeating itself and once again, an ‘Irish Question’ is now causing a considerable headache for Westminster. What is the Irish Question? For most of the 19th century, the Irish Question was a constitutional conundrum that plagued British politics. For Ireland was a somewhat usual nation amongst its more powerful neighbours: a predominantly Catholic island in a mostly Protestant north-western Europe; poor and underdeveloped for most of its modern history yet surrounded by wealthy, industrialised states; and a colonised nation amongst a party of colonisers. The Irish Question, or how to incorporate this island into the fold with the rest of UK, continued to irritate the political establishment in Westminster until it was ‘solved’ in the 1920’s with the partition of the island. The mostly Protestant North (with a significant Catholic minority) remained part of the United Kingdom (of Great Britain and Northern Ireland, to use its full name), and the overwhelming Catholic South was granted independence, eventually becoming the modern Republic of Ireland. Yet the question lingered on, impairing the politics of the islands of Britain and Ireland for the remainder of the 20th century. Civil strife and inter-communal violence (called the Troubles) exploded in Northern Ireland, claiming thousands of lives, until the two communities (the mostly Catholic Irish (Nationalists) and the mostly Protestant British (Unionists)) agreed to a peace deal guaranteed by the Irish and British Governments in 1998. The signing of the Good Friday Agreement represented a new beginning for Northern Ireland, its relationship with the Republic and the relationship between the Republic of Ireland and the UK. So, while it may seem that the Irish Question had finally been solved, this would be premature, mainly in light of Northern Ireland’s complex system of internal-government, but for us, significantly in light of Brexit. Firstly, practicalities. The Republic of Ireland and Northern Ireland (part of the UK) share a border almost 500 kilometres long, with over 200 unmanned border crossings. Yet it is an ‘invisible’ border, with no infrastructure or signs. The border, drawn by the British in 1921, is also arbitrary; it does not follow linguistic divides, ethnic considerations or nationalistic concerns. So, people of Pettigo in the Republic see themselves as ethnically Irish, just as much as their neighbours in Tullyhamon, Northern Ireland, on the other side of the Termon River that separates the two villages. The border is also nefariously complex, weaving its way around the island of Ireland, and in some cases it is only possible to access villages in the North by driving through the South, and vice versa. Indeed, with so many crossings it has never been possible to police them all. During the Troubles, in discussion with British Prime Minister Mrs Margaret Thatcher, Irish Taoiseach (as the Irish call their Prime Minister) Dr Garret FitzGerald alluded to the difficulties faced by Irish police in trying to apprehend paramilitaries who used the border to escape authorities. The Prime Minister’s response was surprisingly frank: “Yes, we got it [the border] wrong in 1921.” Despite Mrs Thatcher’s admission of the failures of the British Government in the 1920s, and despite the Troubles, the border has always, more or less, been open since partition and visas have never been needed to cross in either direction. In the years since the Good Friday Agreement, the border has nearly vanished entirely and joint membership of the European Union has also facilities the ease of access North and South. Brexit has changed this. And now we seem to have a new Irish Question on our hands. Following its referendum in June 2016, the United Kingdom is determined to leave the European Union, the customs union and the free market in March 2019. 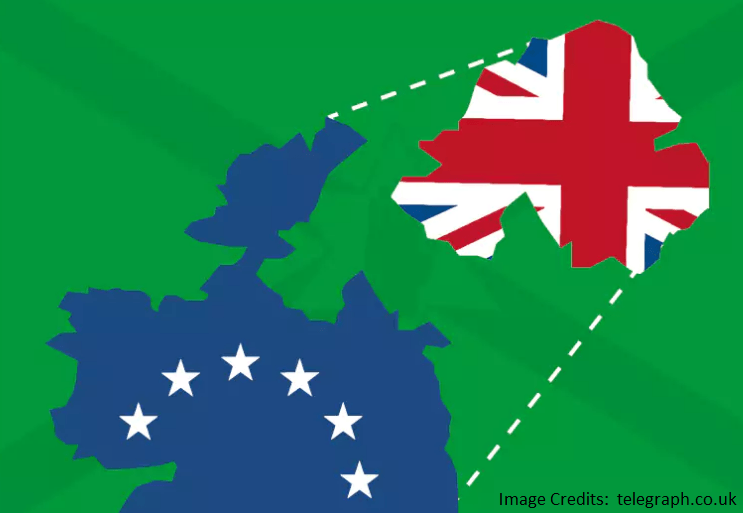 While it voted to stay in the EU, as a constitutionally constituent part of the UK, Northern Ireland will leave along with the rest of the UK. However, London has also promised that it will not erect a physical or ‘hard’ border between Northern Ireland and the Republic of Ireland. Such a border would inhibit movement between North and South. And here we get back to the root of the problem. While Dublin is similarly opposed to a hard border, from the perspective of Dublin and Brussels, the UK cannot leave the EU and the customs union and have an open border with another EU state (the Republic). This flies counter to the Leave Campaigns’ desire to take back control the UK borders, as the Republic would become a transit country for those (both goods and people) seeking to enter the UK. During the first phases of negotiations, various suggestions were tabled to try and solve the border conundrum, but most met with opposition. For example, the Soft Brexit approach (where the UK remains in the customs union, and therefore border would remain open) has been vehemently opposed by Mrs May’s hard-line Brexiteers and a ‘Hong Kong’ solution (where only Northern Ireland alone would remain in the customs union and still be part of the UK) was similarly opposed by the Northern Ireland Democratic Unionist Party (DUP). As if the situation could not become more complex, Mrs May’s Government is now relying on the right-wing pro-Brexit DUP for her majority in Parliament, and the DUP have threatened to pull the plug on Mrs May’s government if Northern Ireland is treated any differently from the rest of the UK. And so, in December, Mrs May promised that whatever the outcome of the Brexit, Northern Ireland would not be treated differently from the rest of the UK. But she also promised that the UK would, in its entirety, leave the EU and customs union. Have the Cake or Eat the Cake? Even the most ill-informed of observers can deduce that the British offer in December 2017 is not sound. And this brings us back to ‘regulatory alignment’. Credit must be given to Monsieur Barnier and Mr Davis for their wonderful display of linguistic gymnastics with the incredibly ambiguous phrase ‘regulatory alignment’, which managed to appease the DUP and unite Mrs May’s hard and soft-Brexit cabinet members. But, all this did was essentially buy her time, allowing her Government to move to the next phase of negotiations.  This week, Brussels will release the draft text for the withdrawal agreement between the UK and the EU, the final version of which will be legally binding. Reports are suggesting that, whatever the outcome, Northern Ireland will remain in the customs union, either with the rest of the UK (the worst case scenario of Mrs May’s rebellious hardline Brexiteers) or the Hong Kong option (which will break Mrs May’s promise to the DUP and most likely bring her Government down). Whatever one’s opinion of the British Prime Minister, her options are limited and her situation is not enviable. On the morning of the release of the draft agreement on 28 February, UK Foreign Secretary Mr Boris Johnson said Brussels and Dublin should stop using the border to “frustrate” Downing Street’s Brexit policy. Mr Johnson should be quick to remember that it was neither Dublin nor Brussels who drew the border 1921. In the eyes of this (Irish) observer, there is a certain amount of irony that every time Westminster thinks it has answered an ‘Irish Question’, it usually comes back to haunt them.